The Ryu Shu Kan, in partnership with the Japan Center at Stony Brook present: “Introduction to Japanese Culture” through the excitement of the Taiko Drums & elegance of Japanese Folk Dance. 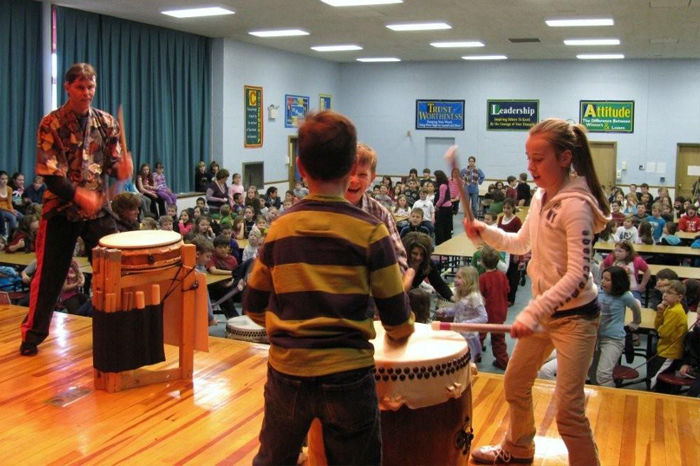 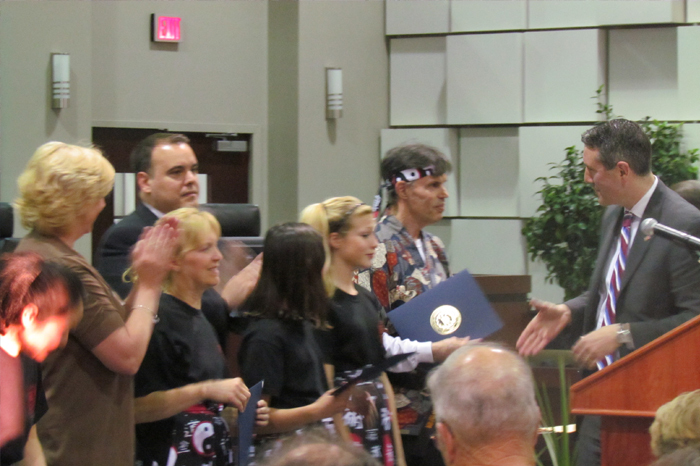 Currently, we perform at venues throughout the Metro area and at elementary schools around Long Island as BOCES Arts-in-Education Artists introducing Japanese Culture through performance and workshops. 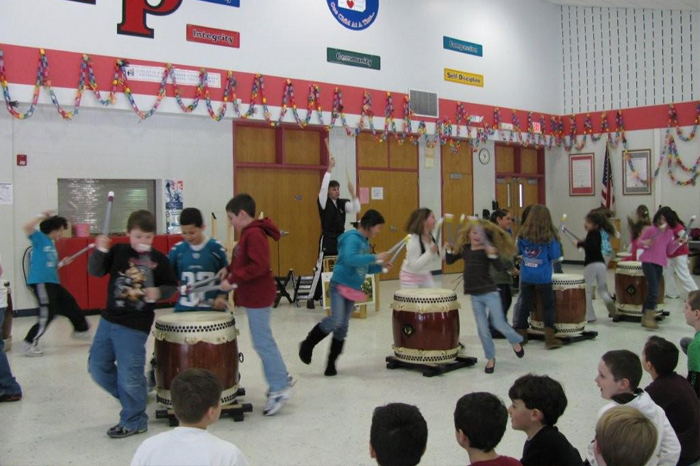 The students at the elementary schools have the opportunity to play the Taiko with us which they say is a highlight of their school year. 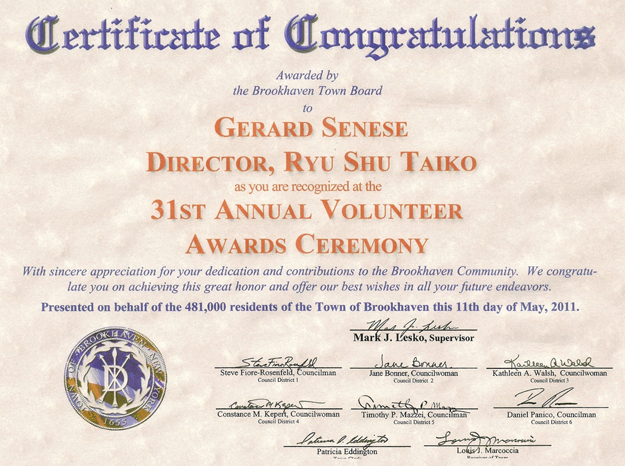 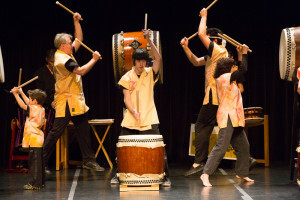 Gerard Senese, together with his wife, Hiroko, (who is from Shikoku, Japan) travel to Japan to research the art of Taiko and Folk Dance to expand their group’s repertoire. 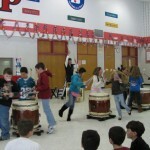 The sound of the Taiko has been long associated with various activities in the villages of Japan. 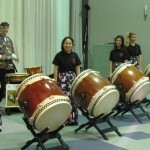 The boundary of a village was the distance the sound of the big Taiko could be heard upon walking away from the center of the village. 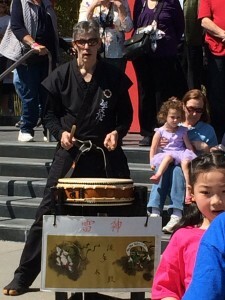 Monks would strike the drums to ‘wake up’ the gods so they would hear the people’s prayers for good weather for the growing of their crops or a safe and bountiful fishing expedition. 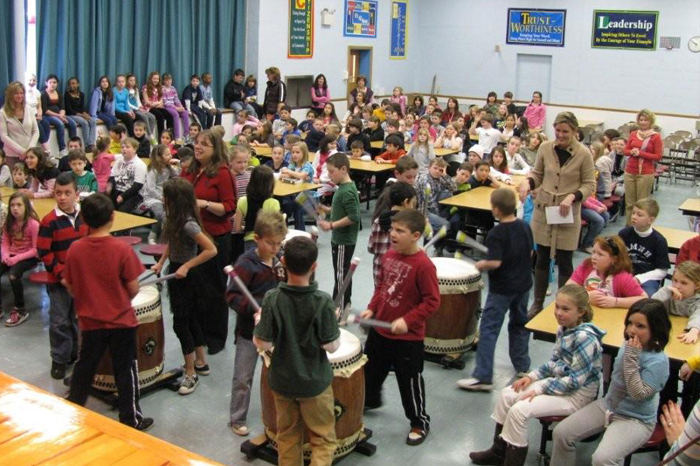 To give thanks for a good harvest, village festivals were celebrated with the sound of drumming. These festivals developed a rich body of traditional Taiko rhythms which are now a never ending source of inspiration to modern players. 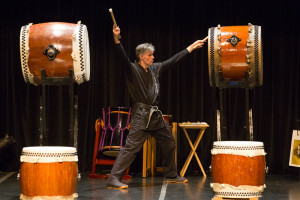 The Samurai used the Taiko on the battlefield to control troop movement and to scare their enemies; and in their castles to sound the alarm of impending attacks. Taiko was used in the Imperial Court music as one of the three principle instruments. 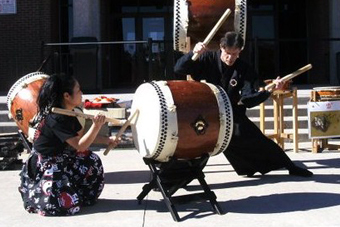 This music is the oldest continuous orchestral music in the world. 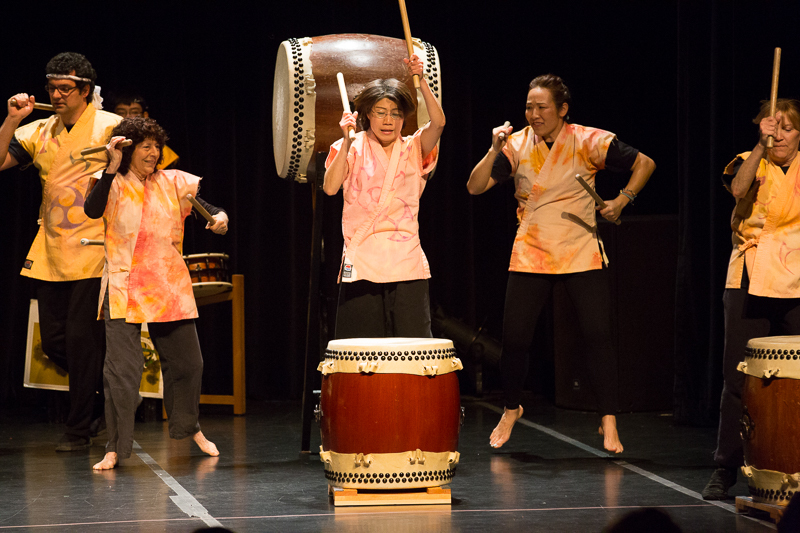 “KOKORO” (heart and mind): The Taiko beat is called the heartbeat of Japan; and mindful of the long history of Taiko, we strive to present an authentic Taiko experience. 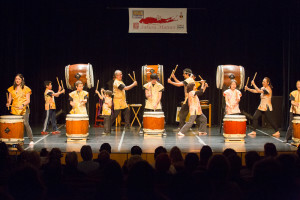 “KI” (energy and spirit): through Taiko our energy and the Japanese spirit is shared and received by our audience. 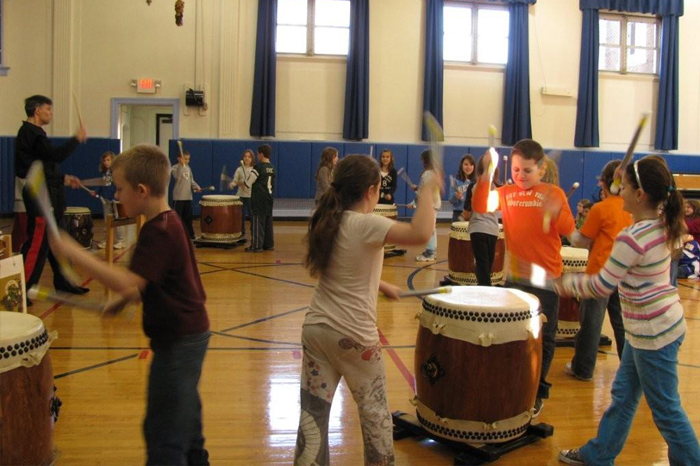 “BUNKA” (culture): Taiko is used as an educational tool to teach the music, culture and history of Japan to children in schools and in the community; and to imbue a strong appreciation for cultural tradition and the arts. 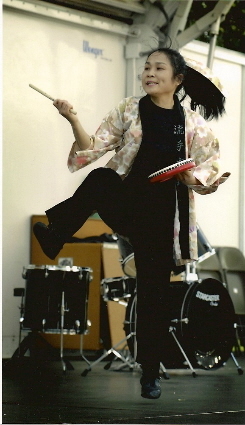 In our workshops, the participants learn the basics of how to swing & hit with the ‘Bachi’ (taiko drumstick), different rhythms used in Taiko pieces, and the unique movements and choreography of the players as they play the Taiko. 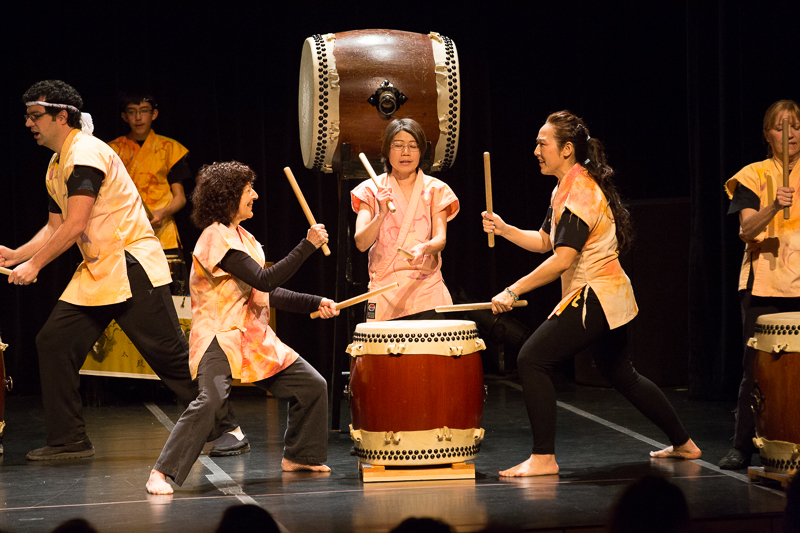 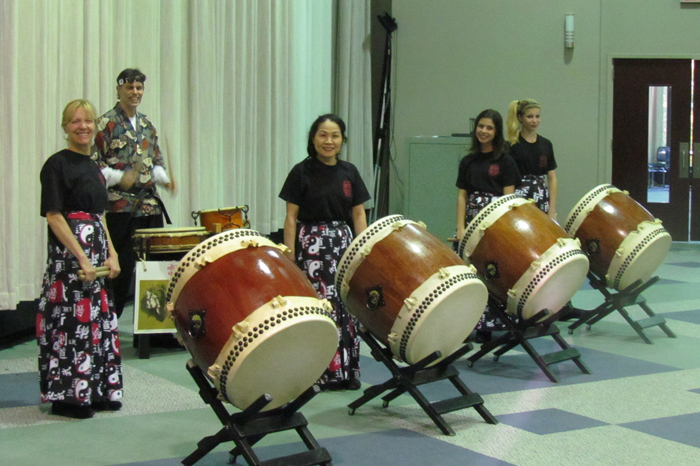 We perform both traditional works and contemporary ones; combining Taiko drumming with Japanese Folk Dance, for an exciting presentation that will entertain, enthrall, and enrich all that experience the power of the Taiko Drums of Japan! 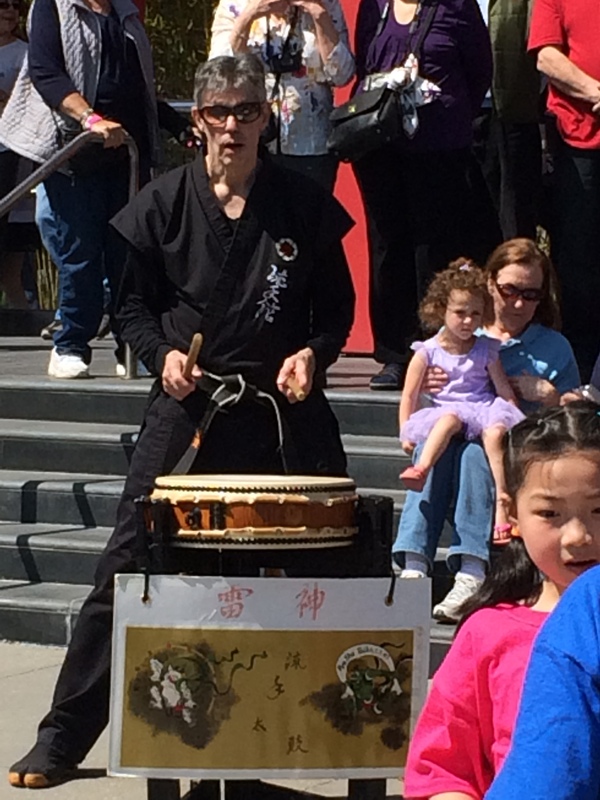 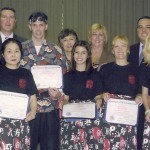 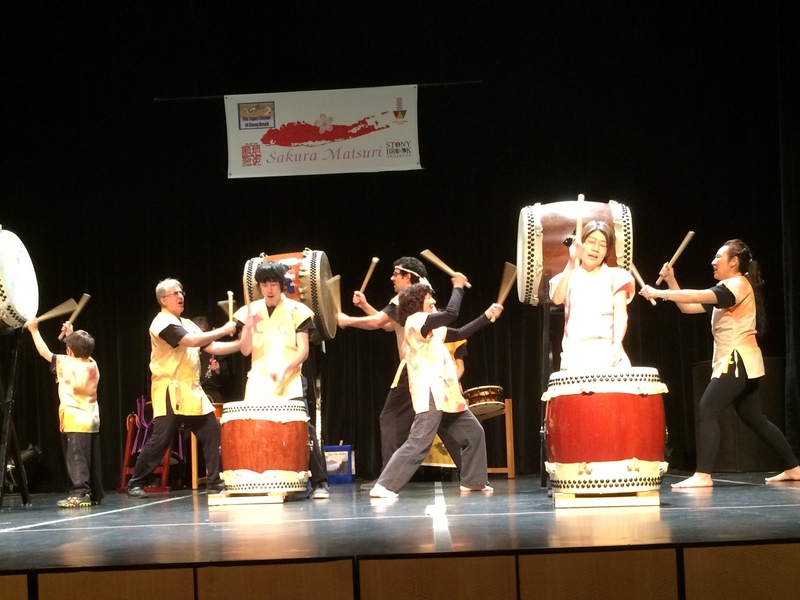 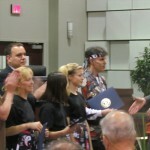 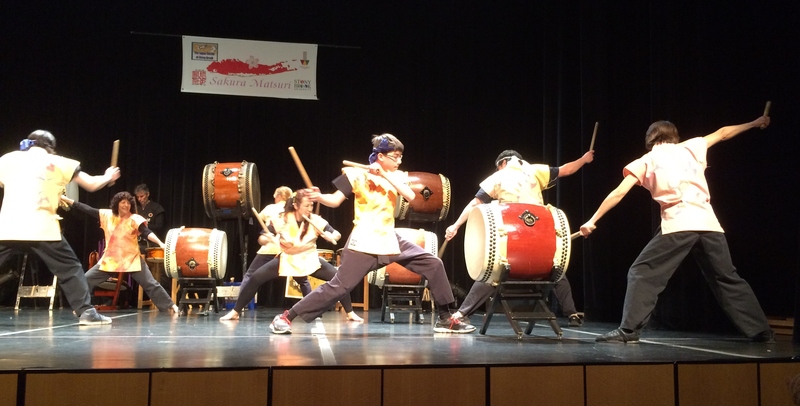 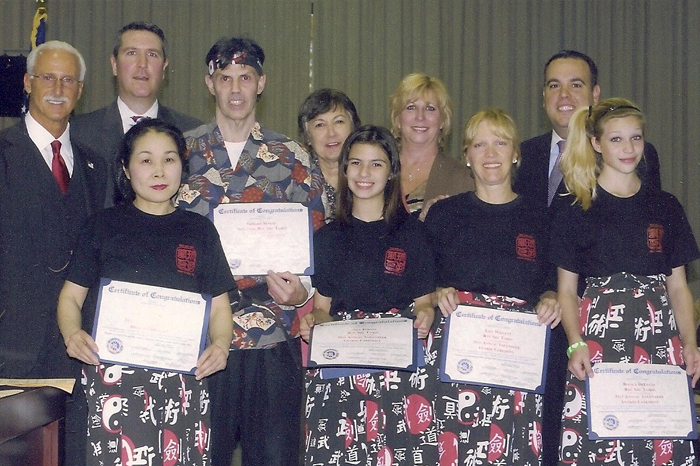 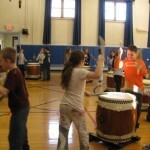 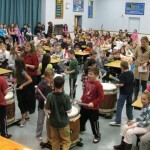 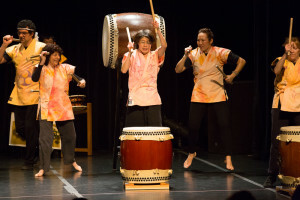 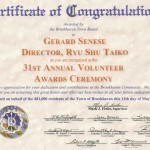 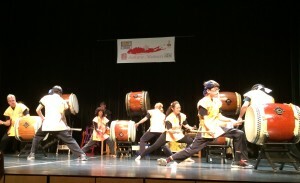 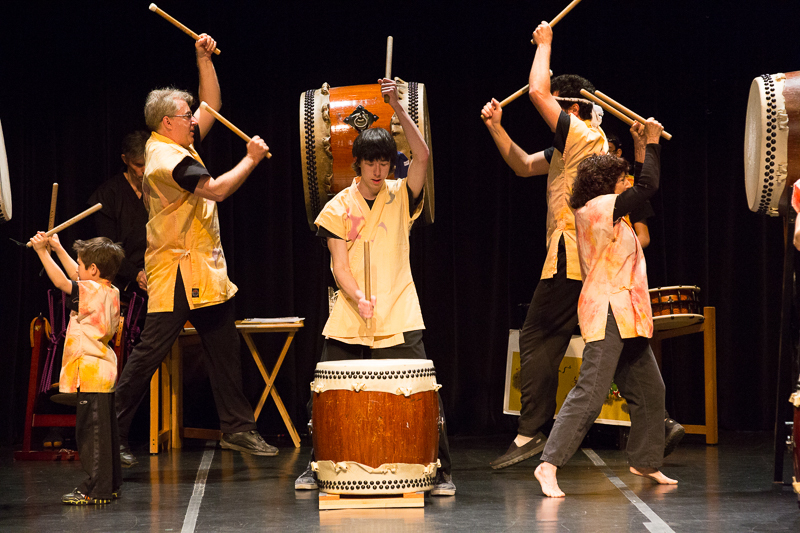 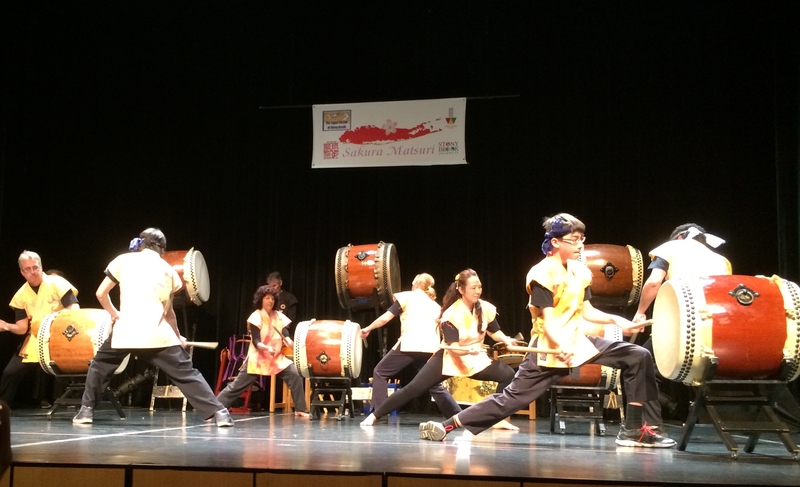 Ryu Shu Taiko is available for performances & workshops throughout Long Island. 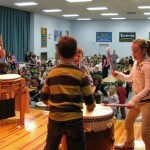 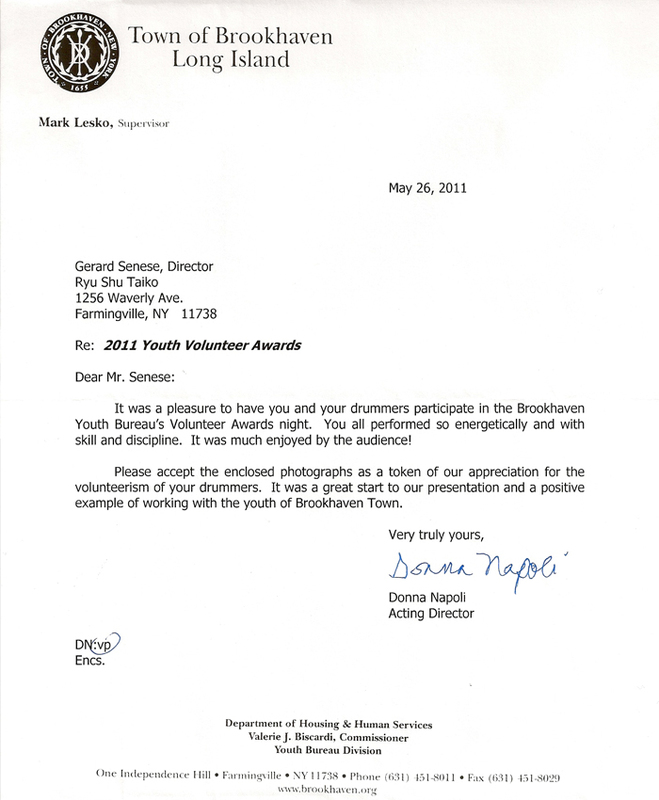 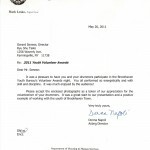 We offer performances for Libraries, Schools (through the BOCES Arts-in-Education program), Community & Corporate Events. 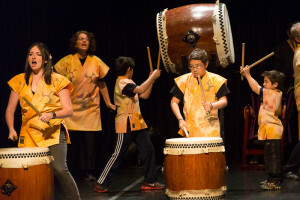 Our performances range from child-friendly interactive stories such as “The Drums of Noto Hanto” to the explosive sounds of our full Taiko Concert.